is the wonderful theme over at G.A. this week chosen by Nancy Dooren, the talented hostess of the week. I walked to a friends house today to try out her Cricut, to decide if I needed one (YES, I do!!!) and as I was looking around I noticed there was a different quality to the sunshine, more fall like, and that leaves were already falling off the trees, probabaly doe to the fact that we have had no rain this month, but I decided the fall fairies were already out and about playing their tricks on Mother nature!! 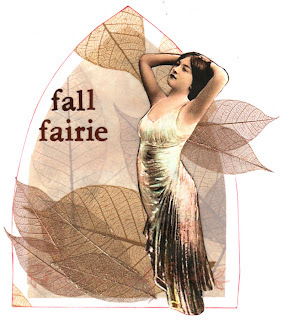 Hence my fall fairie. I used coordinating paper and vellum in a leaf theme, used a fairie image that I cut off the wings and attached skeleton leaves for them and had her surrounded by leaves. Now, I don't often speak about my home life as I don't enjoy putting my private life out there for all to see but I need some advise on how to deal with something that every mother has to deal with, her children growing up. I have 2 sons, my oldest is 26 but because he's mentally, and to a small extent physically challenged, I never went through the late nights, dating, etc that comes with being a teenager. Now my youngest, who will be 19 at the end of Novenber, decided this summer to become a social butterfly and comes home at all hours and forgets to call when he knows he will be later than what he's told us he'll be home. And to be fair to the boy, he doesn't go out often but when he does........ And he is off to uni next week. He's going to the one in our city and will be living at home but knowing that his life is expanding and growing away from us is making me crazy. How do you mothers who have gone through this handle it so you don't drive yourself insane with worry? I know this sounds like I want to keep him tied to the apron strings, but I know I have to let go and I want to do it as graciously as I possibly can!!! Now I know what my mother meant when she said 'One day you'll have kids of your own'!!! Sorry Mom. Thank you all for listening, I hope I can come up with a solution to this soon. and pleased to have recieved another award. This time from a very dear friend and fantastic artist, Rob from Australia. This is a total cop out but there are truly so many wonderful artist who have gorgeous blogs that I absolutely love, I wouldn't be able to pick 7. So, if you're reading this and you have someone who you'd like to give this award to, be my guest. Here are a few of my favourite artist, some of whom haven't made it into my blog roll yet. 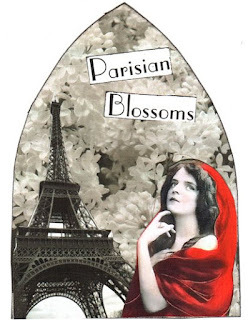 I just keep finding more wonderful blogs to look at. The background of the arch is a picture I took of one of the trees that are outside our windows. When they bloom in the spring, they are absolutely gorgeous with small white blossoms in bunches all over the canopy. But because there was too much sky showing and too much green from the leaves, I greyscaled it in Photoshop, along with the picture of the Eiffel Tower and there was my B&W!! The text is CG. is the theme at mixed media mondays this week. 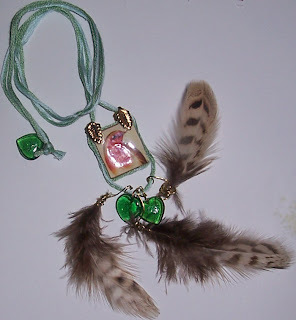 I had made this pendant for a very dear friend of mine using an old Scrabble tile, the back has her initial, some embroidery floss left over from my cross stitching days and wired beads and feathers. luckily my friend loved it and allowed me to upload the pic to my blog. This is my entry for MMM this week. I want to thank all the wonderful artists who visited me last week and left absolutely incredible comments about my entry last week. It did my heart good!!! 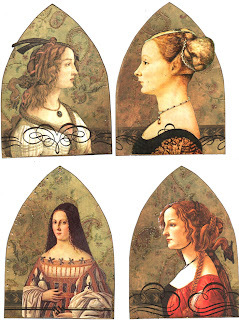 I used more of that gorgeous paper from DCWV and clipart images from Dover and Above The Mark web site. The flourishes are form Martha Stewart! A neat little pack of 17 clear flourish stamps for a reasonable price, at Wal-Mart!!! I hope you enjoy them! Click on the pic for a larger image. 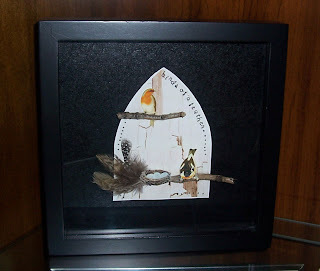 I liked my bird arch so much, I kept it and framed it in a shadow box frame I had hanging around for just such a use. You can't tell from the picture but I used pieces of a thick foam tape to make the arch stand off the back of the box. on one of my groups we do a monthly alphabet mingle in a 4.5x4" format, using any letter of the alphabet but designing it so the elements of the piece are reflective of the 3" high, at least, letter we choose. 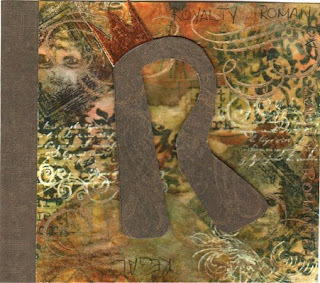 My letter for August is R with the words Royalty, Regal, Romanov, reality, romance, romantic, and my list ended there. I swear I go brain dead sometimes, I know there a lot more. 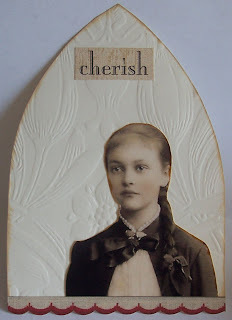 This piece is using a background that Hermine Koster put up on her blog as a freebie to use and for a challenge. is the theme that Kris Dickinson picked for this weeks G.A. 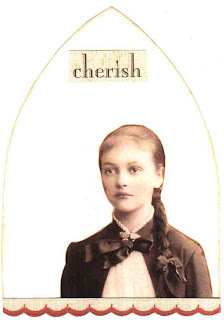 I have always had a fascination for royalty and when I was a kid, I wanted to be a princess desperately. A wonderful daydream for me!!! This is my take on Royalty/Crowns for the week. The paper is from the pack I picked up last month from DCVW Once Upon a Time. It' already got glittered crowns on it so i just placed my little prince under one and had fun with the rest. 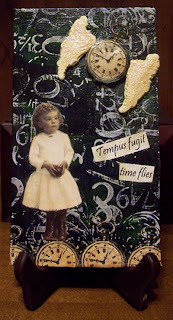 The image is from Lisa's Altered Arts. is the theme on G.A. this week set by the wonderful artist Hermine Koster. Even tho this is one of my favourite themes, I had a really difficult time with it and although I tried not to I still managed to get a bit of colour in it. I scanned it 1st, then because the texture in the embossed paper didn't show, I took a picure of it. very plain, very simple but i'm happy with it! Thank you Hermine for this fantastic theme! I was so surprised when Faye gave me this wonderful award. 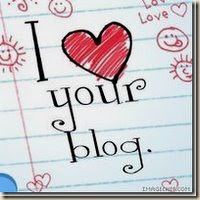 I would like to pass this honor on to the following five persons, whose blogs I enjoy. a bit on the serious side for the moment, I am a huge 'supporter' of Breast Cancer research, having lost my mother to it 24 yrs ago and now getting to about the same age she was when it was discovered, and I wish I could do more to help. 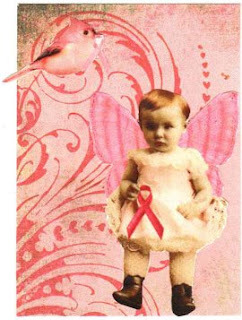 On one of the Yahoo groups I belong to there is also a lovely lady by the name of Patty Jones who owns a fantastic site called Lisa's Altered Art. She makes up the most darling collage sheet containing the sweetest images and on Wendsdays she offers 1 digital sheet for $1!!! What a great deal!! And to add to that she usually adds a sample sheet to your order!. Well I ordered her Awareness sheet and this is what I made. 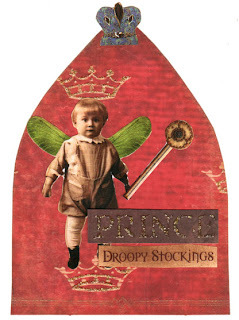 I used some Basic Grey paper, still my favourite, a flourish stamp from, oh m'gosh I can't remember the company name right now, get back to you on that, Red Rocket Gol Brilliance Dew Drop ink and 2 of the images from Patty's sheet. FANCY PANTS, that's the company that makes the stamp I used, jeesh.... from the set Pollen Dust!